Did you know healthy eating is good for you and the Earth? Here are some tips to make you and the planet healthier! Meatless Monday is a non-profit initiative of The Monday Campaigns, in association with the Johns Hopkins’ Bloomberg School of Public Health. Their goal is to help reduce meat consumption 15% in order to improve personal health and the health of our planet. Visit www.meatlessmonday.com for more information. According to their website: Going meatless once a week may reduce your risk of chronic preventable conditions such as cancer, cardiovascular disease, diabetes and obesity. It can also help reduce your carbon footprint and save precious resources like fresh water and fossil fuel. Locavores are people who pay attention to where their food comes from and commit to eating local food as much as possible. It is estimated that the average American meal travels about 1500 miles to get from farm to plate. Shopping at the farmers market, maintaining a home garden, or participating in a Community Shared Agriculture (commonly referred to as a CSA) are wonderful ways to support a local food system. Over the last 20 years, Community Supported Agriculture (CSA) has become a popular way for consumers to buy local, seasonal food directly from a farmer. Here are the basics: a farmer offers a certain number of “shares” to the public. Typically the share consists of a box of vegetables, but other farm products may be included. Living in Wisconsin makes this difficult during the winter months, however, it is always important to be aware. For instance, we used to purchase particular brand of bottled water which was shipped from Tennessee, that is until we realized where it was travelling from. It certainly does not make sense to buy water from Tennessee when we live in Wisconsin, a virtual oasis of ground water. Locally bottled water just makes more sense! Foods grown without the use of pesticides, chemical fertilizers, factory farming, hormone use, and antibiotics on are not polluting the earth or your body. It’s hard to eat 100% organic…either what you want is not available or it’s too expensive. Don’t try to be perfect…instead, follow the 80-20 rule meaning eat organic about 80% of the time. You will feel good about your choices without driving yourself crazy. Reduce the amount of garbage you send to the landfill. 1. Eat whole foods. They are better for you than foods which have loads of chemicals and filler plus they tend to require less packaging which means less garbage heading for the landfill. 2. Compost. Not sure how? Visit www.howtocompost.org. According to their website, studies have shown that home composting can divert an average of 700 lbs. of material per household per year from the waste stream. If your flower beds are clay like mine they could use some compost: When mixed with compost, clay soils are lightened, and sandy soils retain water better. Mixing compost with soil also contributes to erosion control, soil fertility, proper pH balance, and healthy root development in plants. I hope that in recognition of Earth Day you will consider adopting some of these healthy eating tips for a healthier planet and healthier body. XO Fitness is hosting a Freezer Meal Workshop on Saturday, January 31st! 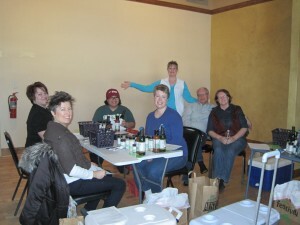 For those that have not been to a freezer meal workshop, you do not want to miss this event. What is better than getting together with friends & prepping 10 freezer meals (meals serve 4-6 people). These meals are healthy, protein based with low carbs! Let me know you want in! Wildtree is an all natural, organic food line that specializes in quick, easy, healthy meals. These meals are great for busy families and especially those that want healthy meals for your family. Let’s bring dinner back to the table! Cost is $67 ($79 minus 15%) for 10 meals & you will take your left over Wildtree products home with you to make more meals & side dishes. Contact Karin ASAP to register. We really enjoyed St. Brendan’s Irish Root Soup and they shared their recipe with us! This is truly one of those comfort foods that cold fall weather seems to trigger, and boy, was it ever good when we made it this week! We’ve been tweaking it ever since we got it because the original recipe calls for 2 cups of heavy cream. While that’s OK for the occasional celebration meal, we felt we should try to create a low fat version that we could enjoy guilt-free a couple times a month. We succeeded! Awhile back, one of our clients (Thanks RuthAnn!) shared with us the mind-blowing book “Salt Sugar Fat: How the Food Giants Hooked Us”. In it, the author Michael Moss show us that there is an ideal amount of sugar (called the bliss point) that can be added to food; too little is no good and too much is a waste. The same is true for salt, finding as we come accustomed to salt the more we prefer but that too little salt can take a once savory food to being nearly inedible. The clincher is when it comes to fat. For fat, there is no optimal level at which too much fat is less desirable. More is always better and researchers determined that if there is a bliss point for fat it is somewhere beyond heavy whipping cream! They also found that people could not discern the amount of fat in a food, often wildly underestimating how much fat was in it. Back to St. Brendan’s magnificent soup. Was this a case of unnecessary extravagance? You be the judge! 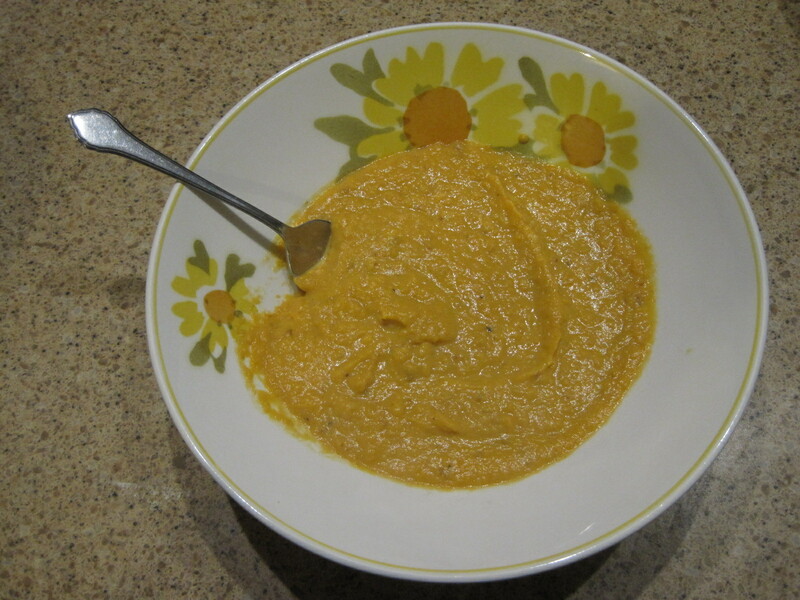 Here is the XO’d version of St. Brendan’s Irish Root Soup. Heat oil and butter in large heavy saucepan over medium heat. Add carrots, leeks, garlic and sweet potatoes. 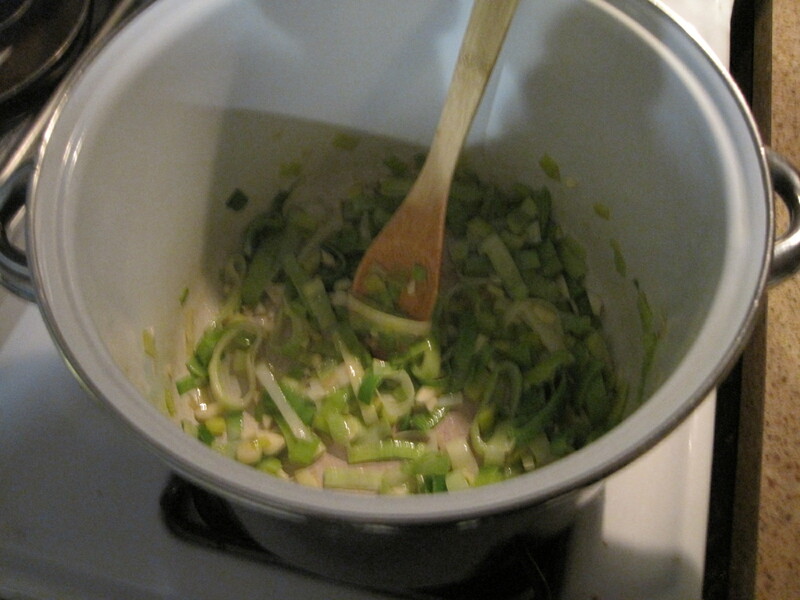 Saute until the leeks are translucent, about eight minutes, Add stock and evaporated milk or half & half. 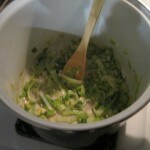 Cover and simmer about thirty minutes. Stir occasionally. 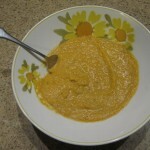 Either puree the soup in batches in a blender or simply carefully use an immersion blender (best tool ever) to puree soup. Enjoy! Made with Fat Free half and half, this recipe is about 122 calories per cup. Made with evaporated milk 135 calories. Made with heavy cream, 211 calories per cup. You decide which is richer, I can’t tell a difference! but does that mean you need to stock your pantry?! 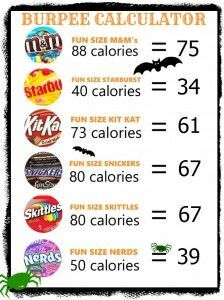 Be realistic, if you buy Halloween candy now will it actually be around on October 31st when the kids come knocking? Leave the candy in the store until just a few days before Halloween…. otherwise, stepping on the scale might get a little scary! This might help put things in perspective you love burpees, right? Here are some tips to make you and the planet healthier! Not everyone is lucky enough to live walking distance from their place of work. If walking is out of the question, consider biking to work at least a couple days per week. If getting to work must involve a car, think about walking from your place of work to “run” errands (ok, you can walk) or go out to lunch. The less you drive, the better! 1) Eat whole foods. They are better for you than foods which have loads of chemicals and filler plus they tend to require less packaging which means less garbage heading for the landfill. 2) Compost. Not sure how? Visit www.howtocompost.org. According to their website, studies have shown that home composting can divert an average of 700 lbs. of material per household per year from the waste stream. If your flower beds are clay like mine they could use some compost: When mixed with compost, clay soils are lightened, and sandy soils retain water better. Mixing compost with soil also contributes to erosion control, soil fertility, proper pH balance, and healthy root development in plants. I hope that in recognition of Earth Day you will consider adopting some of these healthy lifestyle tips for a healthier planet and healthier body. This is my mini-chronicle of following the Dr. Oz and Dr. Hyman Food Sensitivity Elimination diet. The beginning of this series and the links to the elimination diet can be found in this link: Click Here. So I added Dairy back on Monday, mainly so that I could eat the leftover pizza from Friday (which I couldn’t eat then due to tomatoes and dairy). This was easy to add back in since we eat a lot of dairy, probably more than most people since we don’t eat meat except for fish. I did notice that my bowel movements were noticeably looser, so perhaps I’m not digesting it as well as I think. I’ll be paying close attention to how milk affects me. Perhaps that’s not so surprising: Did you know that 75% of the world’s population is lactose intolerant and and therefore dairy is pretty much indigestible to them? After being weaned from breast milk, we simply don’t have a need to digest milk. Kind of makes you wonder about us humans. I’ve been wondering about dairy ever since I read “Salt, Sugar & Fat” written by Michael Moss. Did you know the government determined that it could not let the dairy industry fail and for that reason guaranteed that it would buy all the excess dairy? The industry responded by producing far beyond what consumer demand needed, resulting in millions of pounds of processed cheese being stored in caves in Missouri. Truth is truly stranger than fiction. Read the New York Times Article -Click Here. Recently, I noticed that while pretty much all fluid milk has rGBH free labels, pretty much no other dairy products like cheese, yogurt or cottage cheese are labeled. That’s troubling because rGBH is implicated with increased risk of breast, prostate and colon cancer. I did find this list that shows which brands are rGBH free. The important part of the list is which brands to avoid. OK, my evil plan was a success and I was able to eat my brother-in-law’s incredible marinara and amazing ratatouille at my Mom’s birthday. Let me rephrase that; In pursuit of the scientific study of my diet, I risked fatigue and potentially worse by adding nightshades back into my diet. And I loved every minute of it and my only reaction was Yum! So it turns out that Ratatouille is the perfect dish for testing out nightshade sensitivity. This is because the two main ingredients are eggplant and tomatoes, two of the primary members of the nightshades. 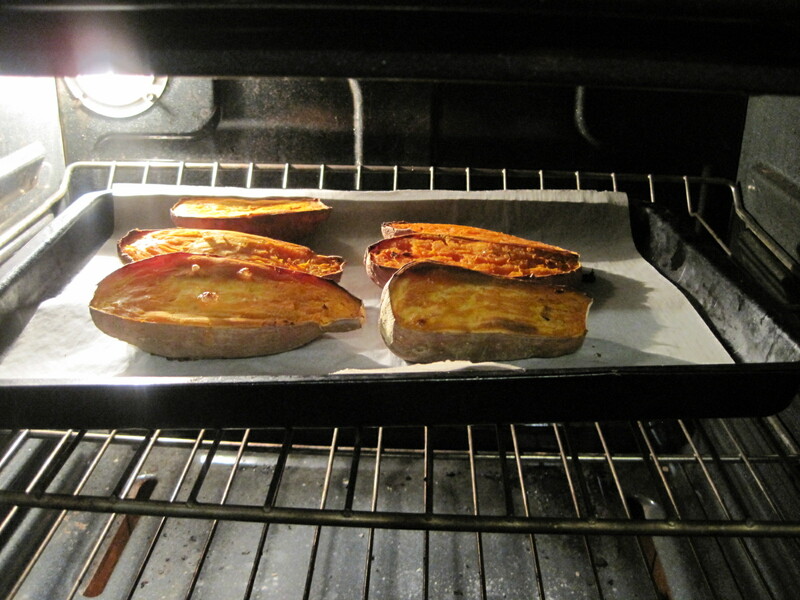 Other nightshades include red peppers (both hot and sweet), the spices paprika and cayenne, and potatoes. I don’t eat these every day, so I wasn’t expecting trouble. I’ve never had ratatouille before and I have to say it was absolutely delicious. Of course, my brother-in-law is an amazing chef, so that is a large part of why it was so good. He said that he grilled all the vegetables first to give it that bit of smokiness, but otherwise followed a basic ratatouille recipe. 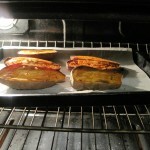 I found a highly rated recipe from epicurious.com, the bon apetit recipe website, that I will be trying. Epicurious Ratatouille, Click Here. 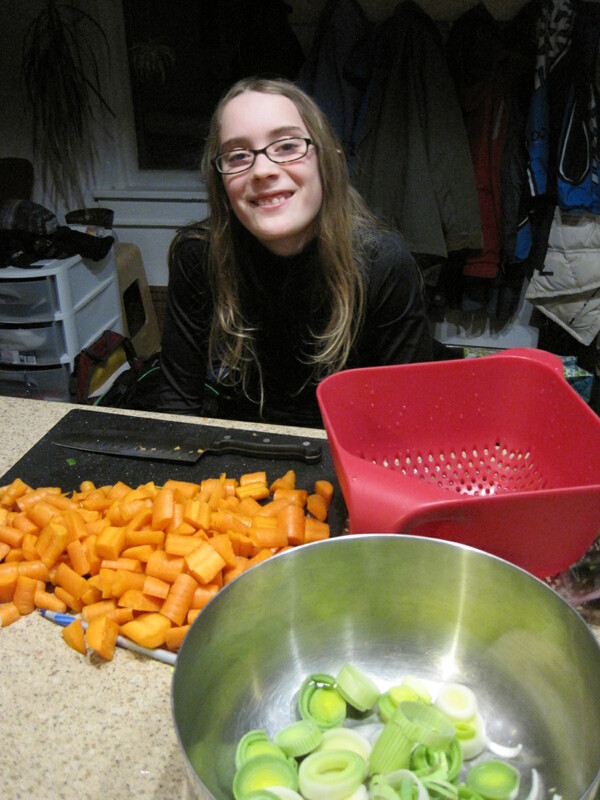 It’s a great way to get those vegetable servings that Karin has been promoting during March nutrition month. 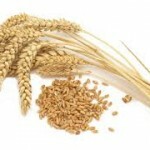 Comments Off on Food Sensitivity Elimination diet: Adding Wheat back! 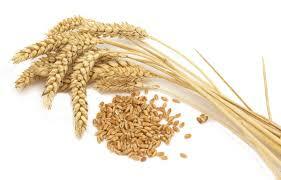 Food Sensitivity Elimination diet: Adding Wheat back! I have a family gathering this weekend (Happy Birthday, Mom!) and it’s not going to be easy being on the elimination diet. Like it wasn’t bad enough that the only meat we eat is fish (yup, we’re pescetarians), but my brother-in-law is a seriously gourmet cook whose culinary skills I sorely do NOT want to miss out on. He’s making ratatouille as well as his homemade marinara and pasta. So I have a plan. The first two foods I’m adding back are Wheat (so I can have bread and pasta) and Nightshades (Ratatouille has both tomatoes and eggplant). Luckily, Wheat is Thurs/Friday and the Nightshades just happen on the day of the party. Whew! Disaster avoided!!! Days 6 & 7: Adding the big “W” -WHEAT back into my diet. Unless you lack a heartbeat, you’ve probably heard all the hoopla about the benefits of eliminating wheat from your diet. Many of our clients feel better when they don’t eat wheat. There are also many people who have the very serious disease Celiac, which is actually an auto-immune disorder and not an allergy at all. Randi Mann, Women’s Health Nurse Practitioner at Wise Women’s Wellness in De Pere, says that simply eliminating wheat would help people lose much of the weight they need to lose. So I was a bit apprehensive when I added wheat back into my diet because, well, I really like bread! It’s no small task to eliminate wheat given that it is in so many food products as a thickener or filler. Kiss any typical convenience foods or salty snacks good-bye! My worries were for naught: Adding Wheat back to my diet was so easy and dare I say “fun”? Instead of the cream of rice I chose the Hodgson whole grain hot cereal instead with walnuts and strawberries. Not only did it taste good, I felt just fine thank you! Day 4: Today is starting into the middle of my week and so far, I haven’t had the afternoon fatigue like I had it despite starting my day at 4am. A little tired, but not the “can’t get off the couch” wave of exhaustion I was feeling in the afternoons. I also attended another meeting in the late afternoon and stayed engaged throughout and never faded. Yeah! 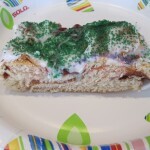 Had to laugh about the piece of Mardis Gras King cake that I accepted from a client today. Definitely NOT in the food plan,since it is sure to have eggs, milk, wheat, probably corn starch and who knows what else. I brought it home and happily fed it to the kids after school. Not surprisingly, I found out later from Karin that Jack had a total melt-down over his homework. They always have a snack after school, and if that was all he had…KA-BOOM! Don’t you just love doing blood sugar experiments on your children? Day 5: Hump day: A very tough day at the studio. The phone was ringing off the hook while I was training clients. I usually don’t answer, but if it rings with several separate calls within 10 minutes, and messages are left, it’s like an itch you can’t scratch. Turns out they were all unique: a client and a trainer out sick, account questions. All that is to say I didn’t have time to eat regularly, but I wasn’t crazy hungry either. Another good day! I have to fess up that I took a cat nap ~20 minutes but woke up refreshed instead of wiped out! Just a side note: I’ve been noticing that as I read ingredient labels how prevalent soy is. It’s everywhere. Many baked items like crackers have soy lecithin in them, soybean oil is fairly common, as is soy sauce. All I can say is I’m truly happy that I’m not actually allergic to anything. It would be a royal pain! OK, I’ve been following the Elimination diet food plan pretty closely now and this is the evening of Day 3. Summary of Day 2: Pretty good, productive day. Mood was pretty consistent, fatigue was not an issue despite spending an entire day at home with the kids in the house! Went the store and picked up some additional items, specifically more berries (love this addition) and water packed tuna to replace the tuna packed in oil (soybean oil -oops) I usually buy. (Yeah, I know you are probably surprised I buy the tuna in oil. Fat goes up only 2g per serving (4g/can) to go with oil. Suffice it to say that water packed is so dry that I’ll bet most people overcompensate with other less desirable fats (like mayonnaise) to make it moist enough to swallow) FYI: Mayonnaise has 10g fat/Tablespoon and light mayonnaise has 3.5g/Tablespoon. I’ll keep buying my oil pack even though it’s kind of gross to drain. Today, Day 3 was notable because I was alert even after lunch and was 100% present during a meeting in a warm board room. Anybody who knows me knows that these can be my biggest challenge. Usually after lunch I get pretty drowsy any time I sit for any length of time. No brain fog, no mood issues and my will-power to stay ‘on task’ and stay focused is notably better. I’m liking this! A few notes: It was really weird to walk through the grocery store and realize how much I was choosing not to eat. Really, prepared foods of any kind are pretty much out. No sense in looking in the snack or cereal aisles! With the exception of frozen veggies and meats, really nothing from the freezer department and most of the coolers! It simplifies things in alot of ways. Tonight I made the kids tortellini with spaghetti sauce and I couldn’t taste test. That’s like the BEST part of cooking and my little ‘perk’ for being the cook. Drat! Admissions: I have not been perfect on the food list. I mentioned the canned fish all had soy in the broth, but I figure if I was that allergic, a soy burger would hospitalize me! I accidentally put potatoes into the butternut squash soup that I love and later found out it’s in the nightshades class with tomatoes and eggplants. I have not cut out wine. 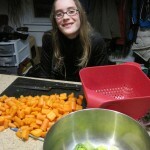 It didn’t seem to help the last time I cut it out of my diet for 2 weeks and I was noticeably more irritable and grumpy. Ha! So I’ve made the executive decision that there is no need to eliminate the ‘wine food group’.